IS Battleheart 2 WORTH YOUR TIME? Tablets work best for this. Maybe you can make this work on a large phone, but I feel like it’s best appreciated on a tablet. 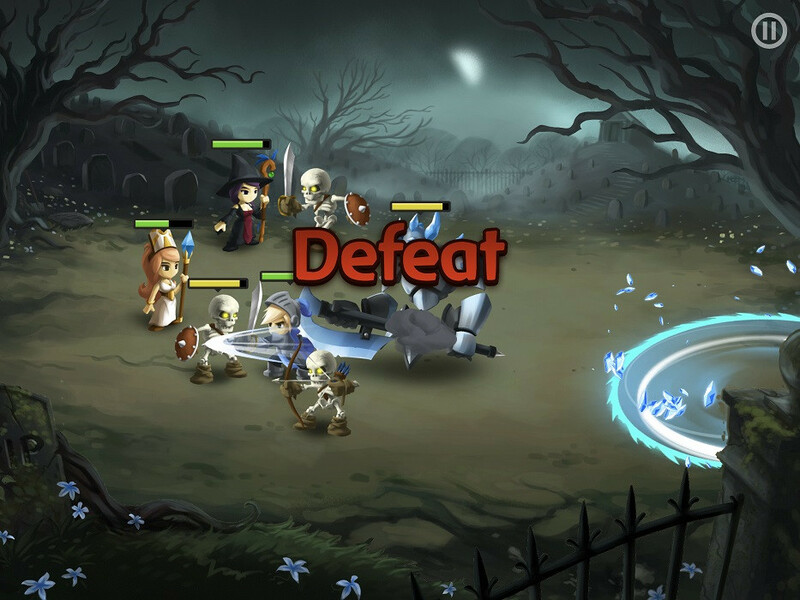 Battleheart 2 feels more like a simplified and almost freemium version of the original game. Not a sequel. I almost hate this game. 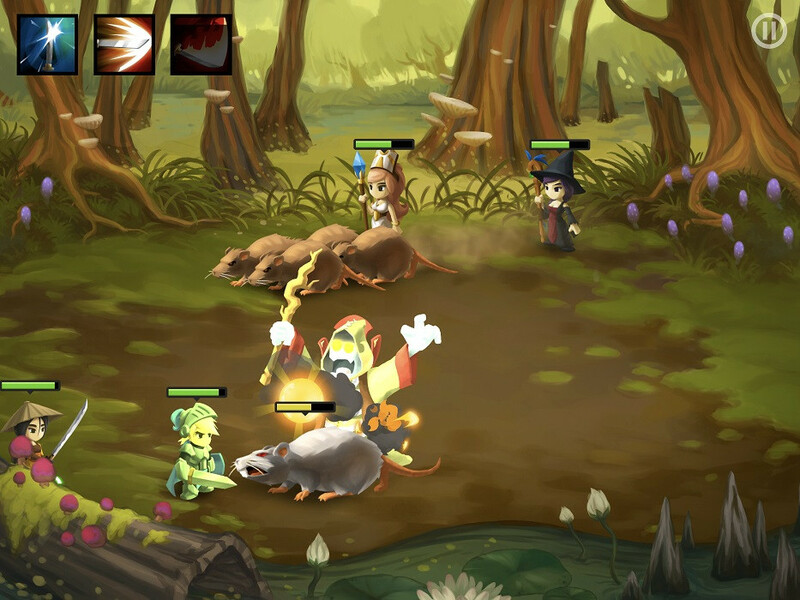 Battleheart 2 feels like a knockoff that’s oddly missing it’s in-app purchase store or it’s just not implemented yet. Gone are the maps that open up the more that you play giving players the feeling of going on an epic journey. Gone are the multitudes of enemies that changed as you went to new lands. Gone is the ability to go back to earlier stages to farm gold, XP, practice or just realize how far you’ve come. Battleheart 2 has been streamlined so much that what made it feel epic was lost in the cut code. Make no mistake, the wonderful Battleheart gameplay has survived, but everything else feels stripped and empty. The game is surprisingly difficult at its default level. I don’t mean that in an I’m a weak little newb sorta way, but it feels unbalanced and forces players to put grinding over skill. Again, without any real world map that unlocks as you progress, it just feels like a grind in a caged area. 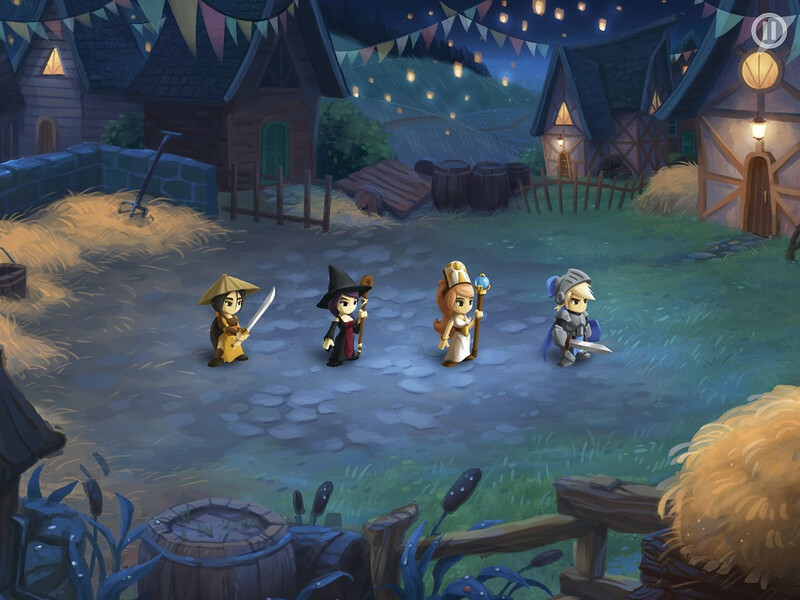 In the Original Battleheart, your characters traveled through and unlocked a giant map. Here, there is a static map that just has dots appear seemingly randomly that show you the next stages you can play. Each stage has different rewards that you will find. So you don’t feel like you are traveling or on a journey, you just fight in the same glowy dots over and over again but with a higher difficulty forced in. Even worse, hours and hours into the game, I found myself fighting the same enemies over and over again. It just seems like we are all just harder to kill. It’s just kinda lazy and takes away from any sense of progression besides needing to grind. At lest toss in some new enemies! Unfortunately, the grinding mechanic has been broken up to milk the player for every last drop of free time they have while not feeling worth it. I decided to just keep it at the default difficulty for the sake of this review and what followed has not been fun. Progression is now tied to XP (For overall power), talent books (To unlock passive bonuses), gold (To try and buy gear) and finally gems (To upgrade the gear you have). The game hands these out so haphazardly that it feels broken at best and freemium at worst. The more I played Battleheart 2, the more I wonder how long it’s going to take for the big new content update that will make the game available to everyone by making it free, adding a few features and the in-game store. Whenever possible, I make a harem in game. Yep, I’m calling it now, I bet Battleheart 2 will go freemium. The game seems built for ads for continues against unfair enemies and ripe for an in-app purchase store for those sweet, sweet gems and talent books. Battleheart 2 now feels like a hollow shell of it’s former glory, but that hollow shell is still enjoyable in bursts. I admit to spending a good chunk of time this past weekend trying to love it and then just mindlessly zoning out grinding stuff. If you just want a game to occupy your time for short bursts, then this is awesome. Problem is, it’s really, really repetitive. As time passes I find myself playing it less and less and enjoying it just the same. The levels all just tend to blend together. It’s not until you farm for a lot of talent books to unlock passives that change how the game is played that things felt interesting. Sadly even then it, again, feels repetitive. Soon enough, you will have your optimal positions, and strategies that pretty much work for everything besides the unfathomably cheap bosses. So this screenshot is after me saving a ton for a chest priced at 720 that now costs way more that seems to offer the SAME STATS. Even worse, grinding is very unrewarding. The store to buy gear upgrades is horribly randomized. Often times it’s just full of garbage. Even worse, the more money I would have saved up, the more expensive things were. The final slap in the face is the upgrades you do get, even for a lot of money feel like they aren’t worth the asking price. Like you are getting the very next minuscule step up or 90% of all your saved gold. Gems are supposed to supplement the store, but you don’t actually get to see how much stronger your items get before investing gems. Most of the time the upgrades seem negligible, but considering how hard it is to get gear, gems are the way to go most of the time for upgrading your characters. Gear drops are a sad joke that just doesn’t happen. Trinkets are so laughably useless that it makes zero sense. There is also zero in-game explanation for what a bunch of stats do and no clear reward for many of them so spending gold to experiment with anything makes no sense. Now the big draw here is the ability to play with lots of different types of characters whenever you want…. but that’s not really the case. Characters really just start to feel useful later in-game by unlocking talents. Talents, again are locked behind a stupid currency that you need to farm. That farming gets harder the more you play. Lets not even get into the varied gear you would need to start a new character and then the gold sink of buying things. The final gate is, again, the store that might not even stock the weapons, armor gear you would want to even start working to a new character. I can’t mention the store without calling out the gatcha inspired legendary random purchase you can do for an insane amount of gold, gems and talent books. I cannot understand the logic in this. This is a tough one for me, but in the end, I am still going to say a begrudging yes. 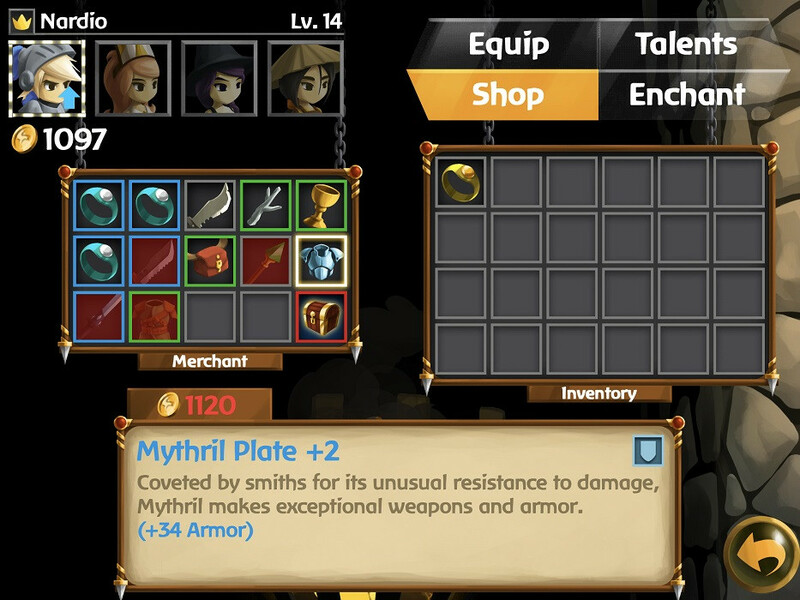 Battleheart 2 is a letdown that stops just short of being a failure. No story. No stages. No proper progression. Just mindless combat. If you just want something to shut your brain off with, then this is a great game in small doses. If you want to reconnect with the original game or dive into the world of the Battleheart Legacy game, just pretend this doesn’t exsist.